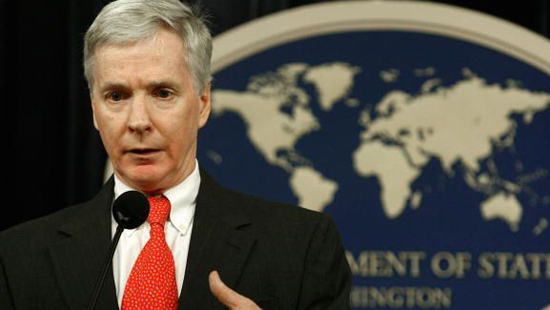 The Boston University Institute for Iraqi Studies was pleased to announce it speaker for the the Inaugural Lecture on Contemporary Iraq, Ambassador Ryan Crocker. Amb. Crocker is Dean and Executive Professor at the George Bush School of Government and Public Service at Texas A&M University, where he also holds the Edward and Howard Kruse Endowed Chair. He retired from the Foreign Service in 2009 after a career of over 37 years and was an ambassador five times: Iraq (2007-2009), Pakistan (2004-2007), Syria (1998-2001), Kuwait (1994-1997), and Lebanon (1990-1993). Ambassador Crocker received the Presidential Medal of Freedom, the nation’s highest civilian award in 2009. He also holds the Presidential Distinguished Service Award, the Department of Defense Medal for Distinguished Civilian Service, the Presidential Meritorious Service Award and the National Clandestine Service’s Donovan Award as well as the State Department Distinguished Honor Award, Award for Valor and the American Foreign Service Association Rivkin Award for Creative Dissent. In September 2004, President Bush conferred on him the personal rank of Career Ambassador, the highest in the Foreign Service. In May 2009, Secretary of State Hillary Clinton announced the establishment of the Ryan C. Crocker Award for Outstanding Achievement in Expeditionary Diplomacy. The 2010 Inaugural lecture featured commentary from Prof. A. Richard Norton, director of the Institute for Iraqi Studies, Dr. Zuhair Humadi, Executive Director of the Higher Committee for Education Development in Iraq, and Provost David Campbell. The lecture was recently featured in BU Today.